The Rev. Donald Macdonald has departed from the Free Church of Scotland because of the denomination’s recent decision to allow uninspired hymns and musical instruments in worship. 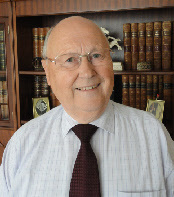 In his resignation letter, Mr Macdonald said: “This has been the hardest decision I have ever had to make and one that I never thought I would have to make – especially at this late stage in my life after 47 years in the ministry of the Free Church and all of them as a member of this Presbytery. “I have not come to my decision lightly or in haste. Neither am I motivated by a petulant and defiant spirit that cannot accept defeat: this matter is far too serious for such superficial and infantile reactions. “I have come to this painful decision after much soul-searching, reading, consultation, meditation and prayer. I can see no other honest and honourable course of action. He said: “That the Free Church for which our Fathers fought and suffered in the 1900s should come to such a sorry pass grieves me beyond words. “I had hoped, along with many others, that this Presbytery would have taken a stand and hold the line but, sadly and unbelievably, this has proved to have been a vain hope. “Not only has the Presbytery not withstood the onslaught, it has now headed the van in progressing the agenda for change since it was the Overture from this Presbytery that secured the approval of the Assembly for the supposed conscience-relieving clause.